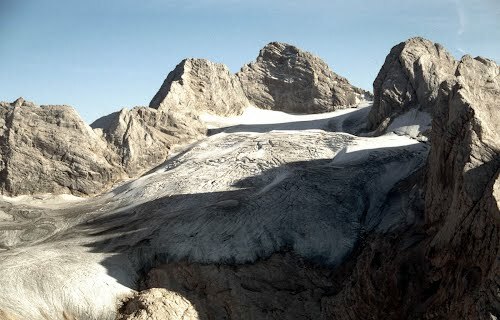 Hoher Dachstein is a strongly karstic Austrian mountain, and the second highest mountain in the Northern Limestone Alps. 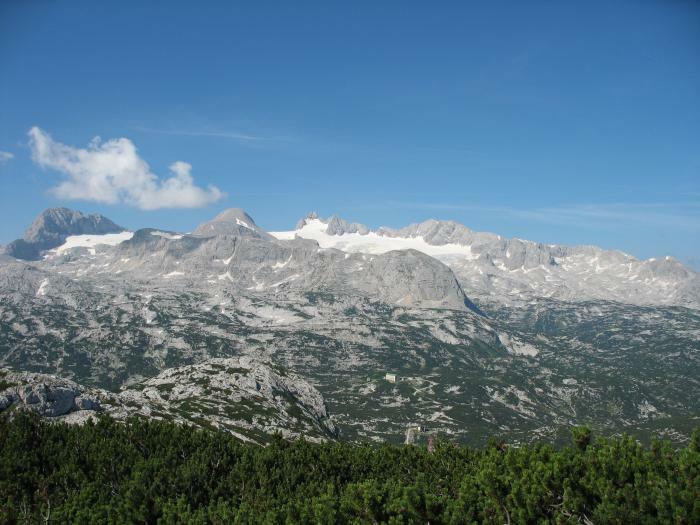 It is situated at the border of Upper Austria and Styria in central Austria, and is the highest point in each of those states. 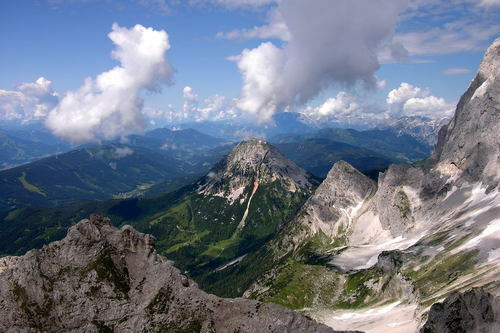 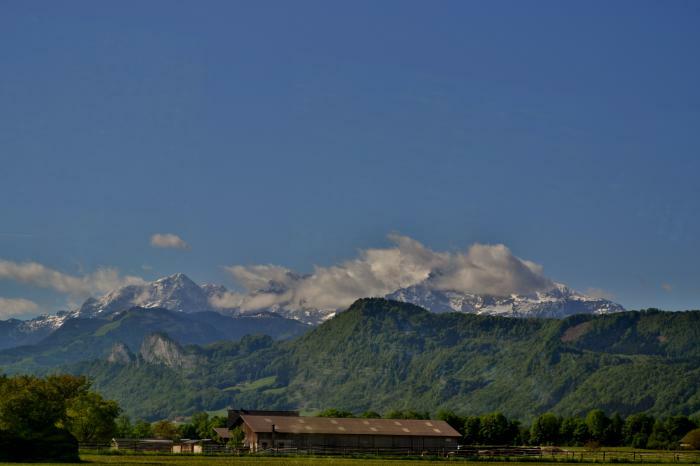 Parts of the massif also lie in the state of Salzburg, leading to the mountain being referred to as the three-state mountain. 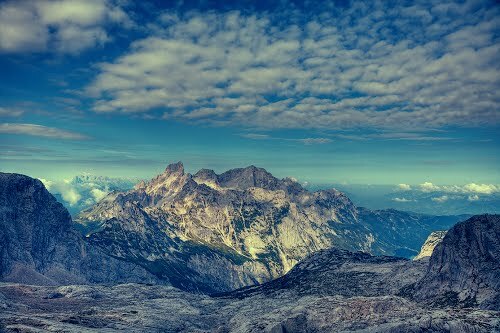 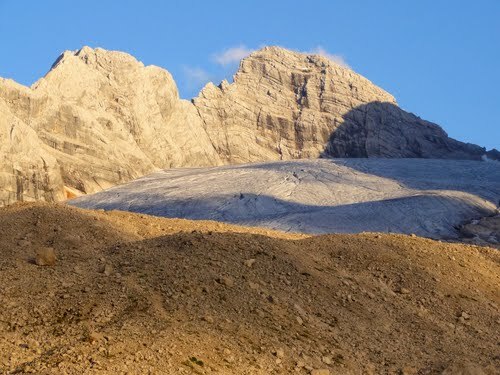 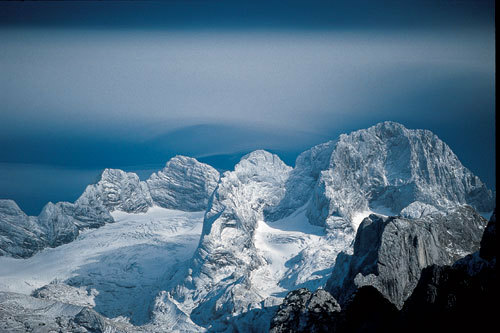 The Dachstein massif covers an area of around 20×30 km with dozens of peaks above 2,500 m, the highest of which are in the southern and south-western areas. 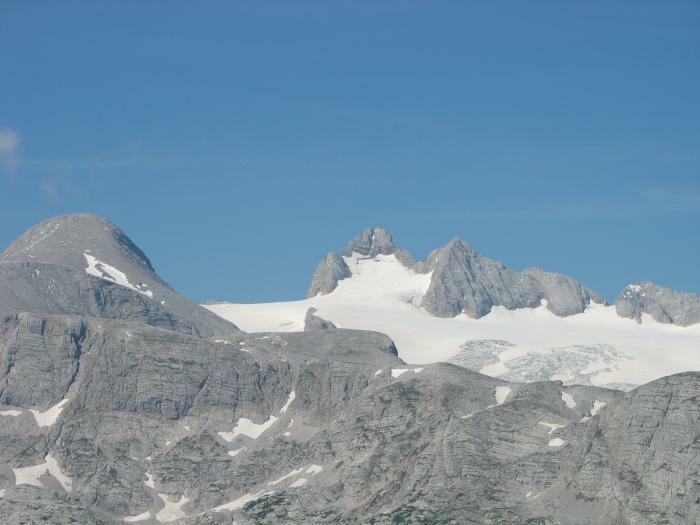 Seen from the north, the Dachstein massif is dominated by the glaciers with the rocky summits rising beyond them. 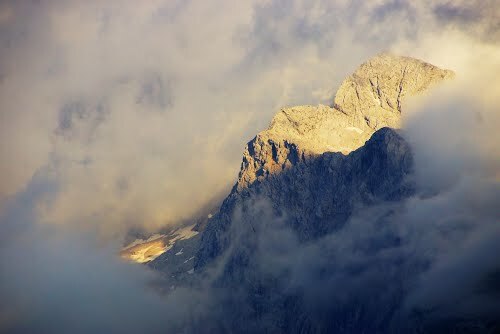 By contrast, to the south, the mountain drops almost vertically to the valley floor.